Giving money is an act of generosity. This article explores the act of giving money, how it fits into philanthropy, and the importance of sound project management to the process. It is important to note that giving money is only a part (albeit a critical one!) of the process of a philanthropic venture. By itself it requires careful management and nurturing. As this series progresses, we will explore higher and higher levels of management sophistication – and effectiveness at achieving noble philanthropic objectives. 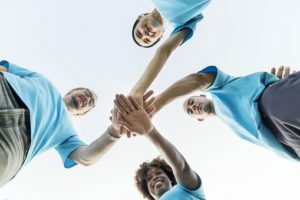 This is the first part of a series of four articles on “Philanthropy and Project Management", where we explore the intersection of these two fields and how strong project and program management is so critical to philanthropic initiatives. This article, Part 1 in the series, “Philanthropy and Project Management: Giving Money", looks at the management challenges related to giving money. Part 2, “Philanthropy and Project Management: Giving Time", looks at the management challenges related to giving time. Part 3, “Philanthropy and Project Management: Charity", focuses on the bigger picture of purposefulness but with a strictly tactical approach. Finally, Part 4, “Philanthropy and Project Management: Program Management", dives into purpose AND strategy in advanced philanthropic efforts. Raising money for charitable causes is no small task. But before looking at some of the nuances of this daunting and commendable task, let’s take a look at where it fits into the whole picture. The big question is: what is the money to be used for? This is the ultimate purpose for the fundraising project. The better the answer is to this question, the better foundation you will have to the fundraising efforts. Fundraisers basically are executing a sort of marketing project. They are marketing the opportunity to give money – to help people, advance a cause, and do good things. Objective: how much money is needed and when? Finding donors: what is the target group of donors, how can you reach them, and what is the compelling message to them? Resources required: will there be up front money, facilities, and paid/volunteer personnel? 6. Risks: what might be the objections, what in the execution plan might go awry, what are the contingencies, what can you do now to reduce the chances of bad things happening and increase the chances of good things happening? Getting people to donate money is a complex, challenging, and rewarding task. Strong project management can help to improve the odds of success and enhance the results. Can you identify a fundraising effort that could benefit from the addition of professional project management practices?